The Met Office has issued the second highest heatwave alert for Britain as temperatures are expected to reach 33C in the coming days. John Palmer, senior guidance adviser at Acas, said: "Today's sizzling weather may be ideal for the beach but staff getting into work on one of the hottest days of the year may not feel the same way. "Certain workers may be adversely affected by the extreme heat such as pregnant women, elderly employees and Muslim staff that are currently fasting during Ramadan. Our advice offers some top tips for employers to help ensure their businesses remain productive during the heatwave whilst keeping staff happy too." Workplace temperatures should be reasonable. The Health & Safety Executive (HSE) offers advice on how to carry out a thermal comfort risk assessment if staff are unhappy with the temperature. 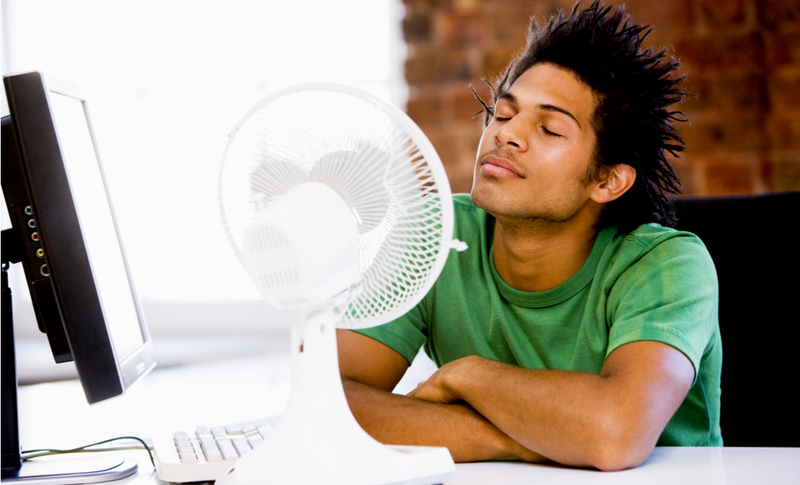 Workplaces should be kept cool using fans or air conditioners and keeping blinds or curtains closed to block out sunlight. Staff working outside should wear appropriate clothes and use sunscreen. Businesses must provide staff with drinking water in the workplace and encourage everyone to stay hydrated. Acas is also urging employers to consider the needs of vulnerable workers who may be more adversely affected by the hot weather such as the elderly, pregnant women or those on medication. Employers "may wish to give them more frequent rest breaks and ensure ventilation is adequate by providing fans or portable air cooling units", said Acas. The full guidance is on the Acas website.